Piano finish plaques have a high quality, gloss finish that allows us to add a color fill directly into the wood. 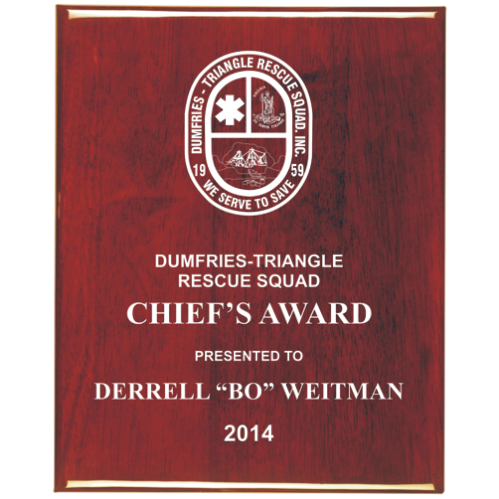 This elegant look adds something extra to whatever occasion or award this plaque is for. Engraving is FREE!